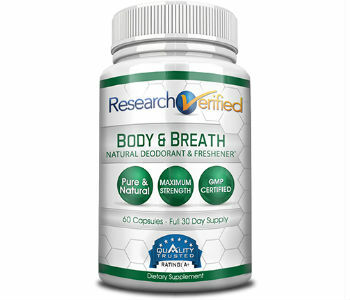 Body & Breath Fresh is a supplement designed to help treat malodors by attacking the root of the problem. According to the manufacturer, unlike other products that simply mask body odor, Body & Breath Fresh focuses on a more permanent treatment. This supplement is said to use scientifically tested and proven ingredients, all of which are known to be safe as well. How effective is this supplement in treating malodors? And does it actually treat the problems and prevent future issues from developing? Our full review below should give you all details you need to know. Body & Breath Fresh utilizes compounds that are known to offer powerful anti-bacterial properties. This proprietary blend is said to provide a dual action formula that targets symptoms and causes of malodors in the body. The ingredients contained within each capsule are Green Tea extract, Peppermint Oil, Fennel Seed, Chlorophyllin and Lactobacilus Acidophilus. Each of the ingredients chosen are claimed to deliver results quickly and safely. They are also chosen specifically for their ability to complement each other’s effects. You can choose to take this supplement for maintenance or for occasional use. If you wish to take this supplement as maintenance, then taking two capsules per day (morning and evening) is recommended. For those looking to take this occasionally, three capsules per day over a couple of days is the recommended dosage. If you are unsure whether to take this as maintenance or not, we suggest you consult with a health professional. Body & Breath Fresh is relatively safe to take with no reports of side effects. However, it is advised that pregnant and nursing women consult a physician before taking this supplement; and similarly if you are already taking other medications. Body & Breath Fresh is available for purchase from the product website and comes in packages. Multi-bottle packages come with discounts so those who plan on using this product for maintenance should breathe (what should be a fresher) sigh of relief. Each bottle contains 60 capsules. Body & Breath Fresh comes with a 60-day money back guarantee. This is a positive feature for first-time customers, allowing them to try it risk-free. You can return the product (both opened and unopened bottles) if you are dissatisfied with the results and get a refund. 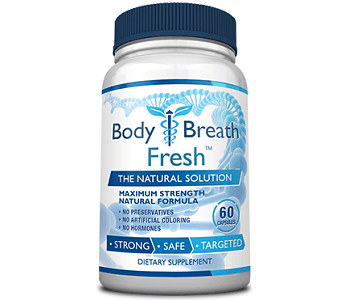 Based on the ingredients used in this supplement, Body & Breath Fresh looks like it’s worth trying to help treat body malodors. Given the discounts for multiple bottle packages and the the 60-day money back guarantee that covers both used and unused product, it would seem to make sense to take advantage of the per-bottle savings. The 60- day guarantee time frame should be more than enough time to determine whether this malodor treatment supplement is effective or not, without a significant financial risk.